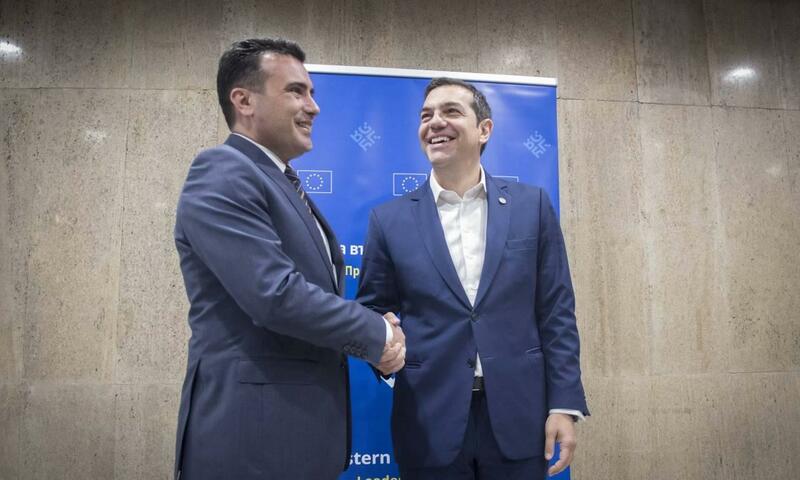 The protocol of the admission of fYROMacedonia as “North Macedonia” to NATO will be introduced for ratification in the Greek Parliament next week, in order to formally complete the process agreed between Alexis Tsipras and Zoran Zaev. As the government spokesman informed in the briefing of journalists, the ratification of the protocol will follow a verbatim note to the Foreign Ministry of fYROMacedonia to automatically implement the constitutional changes and the official name change in northern Macedonia. According to information, the protocol will be introduced on Monday at the meeting of the Presidents of the House, in order to be ratified by the plenary on Thursday, where a new intense debate is expected to take place, as New Democracy has declared that it will vote against it. Indeed, the Greek government spokesman once again accused Kyriacos Mitsotakis’ party that, apart from adopting the positions of the far right, he has also adopted their practices, referring to the protests and attacks on MPs who have voted in favour of the Prespa Agreement. In addition, the Greek Prime Minister’s associates convey the dissatisfaction expressed by leaders who belong to the European People’s Party on the attitude of New Democracy. In the following period, another top process, the constitutional review, is expected to start in parliament. In particular, the first plenary debate on the recommendation of the competent committee, which yesterday concluded its works with a vote on the proposals of SYRIZA and ND, will be held from February 11 to 13.